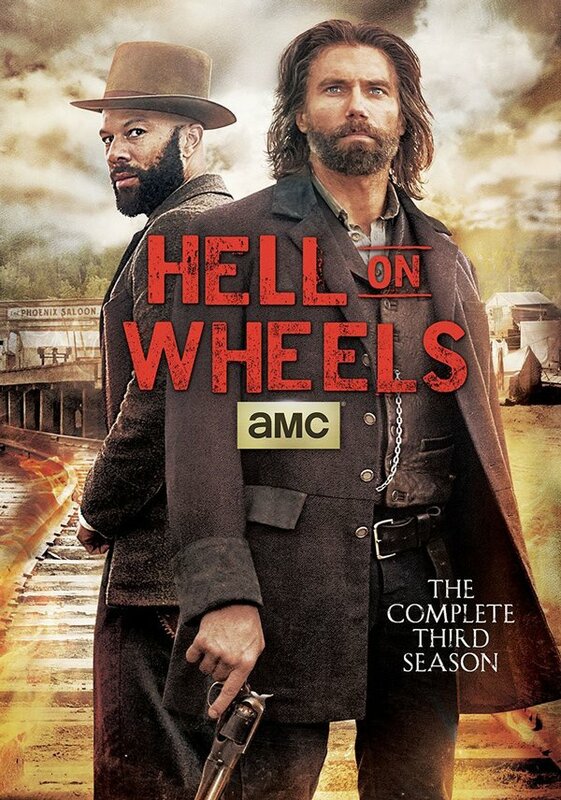 Three seasons ago, Hell on Wheels was expected to be the next big thing on AMC, a historical drama that could make a bold statement at the network. Unfortunately, across its first three seasons, Hell on Wheels has not been a huge ratings bringer for AMC, and has had to deal with drama surrounding the loss of its showrunner. These obstacles have allowed the show to come out gritty and hardened, and seemingly ready to head into a new era. Early episodes of Hell on Wheels focused on Cullen Bohannan’s (Anson Mount) quest for revenge against the Union soldiers who killed his wife and child. The focus of the series has shifted during Season 3, and Bohannan’s priorities are all railroad-based. His competence as a boss and railroad manner doesn’t underscore the violent antics that have led him into a position of power, and the Union Pacific Railroad’s trajectory puts the entire crew in danger in numerous ways. Hell on Wheels revolves around Bohannan’s antics, but Season 3 is by no means solely focused on the man. Instead, Season 3 is trying to fill the gap left in Lily Bell’s wake, giving more focus to Elam (Common) and Eva’s (Robin McLeavy) relationship, and using the few females left in the camp to the best advantage. It’s often a transitory season, but it also stands well on its own as an introduction to the series, making Hell on Wheels one of the few period dramas that doesn't feel the need to remind everyone of the time period every few minutes. Best Special Feature:: The Behind The Scenes Featurettes aren't overly long, but there are five of them. My favorite was "Charlie Daniels: 'Hell On Strings'" because it tells a pretty interesting story. Apparently, lead actor Anson Mount grew up a pretty big Charlie Daniels fan. So, one time he randomly tweeted about him. Turns out Charlie Daniels was a huge fan of Hell On Wheels; so, they started communicating back and forth. Eventually, Daniels volunteered to write a song for the show in exchange for one round of golf, which is badass. Common & Dohn Norwood: "I'm Building Me A Home"
While theaters have all the goods, the home entertainment game is starting to pick back up this week, with some great releases for both children and adults. The colorful kids film Rio 2 is making its Blu-ray debut, with a set that is jammed full of bonus features the kids should love. 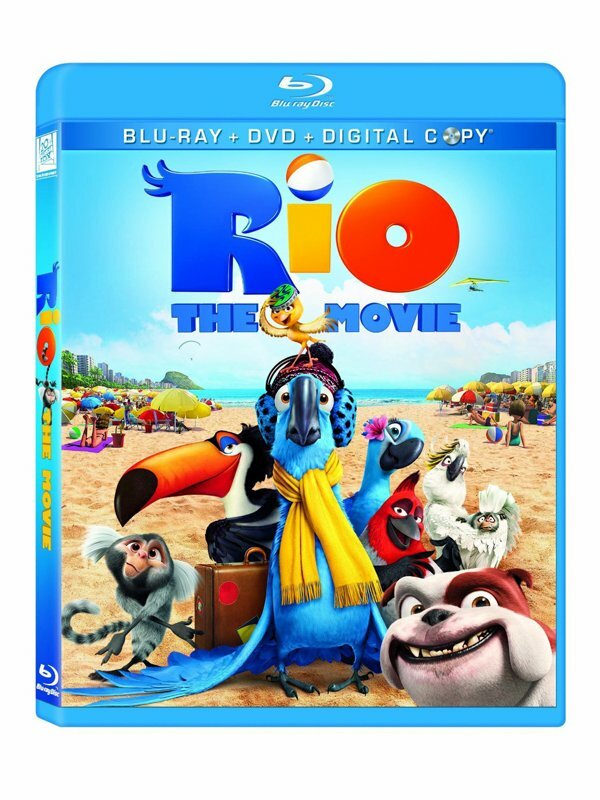 The Rio franchise is often a musical endeavor, and many of the extras are sing-a-long and dance-a-long features meant to get kids moving and shaking. You can check out the rest of this week’s releases, below. Unless otherwise noted, sets are available on both Blu-ray and DVD.